Are you looking for a home that doesn't require you to be renovating every weekend? Midgley Road West Harbour has a flawless presentation and is for you! Tucked up a driveway in a quiet cul-de-sac is your private paradise. This three bedroom house has been tastefully renovated to a high standard and is waiting just for your family. With a new kitchen and bathroom and quality fixtures and fittings, it is just what you have been looking for and is far more affordable than others renovated to this standard. Take time out with your family and friends in your own entertaining areas, fenced decks and yards surrounding this picture perfect home. Every detail has been taken care of by current owners. This home is in a great location just down the road from the hub of Northwest Mall and within walking distance to every convenience including public transport nearby, motorway on-ramps to the city and North Shore, public reserves and a playground at the end of the road. 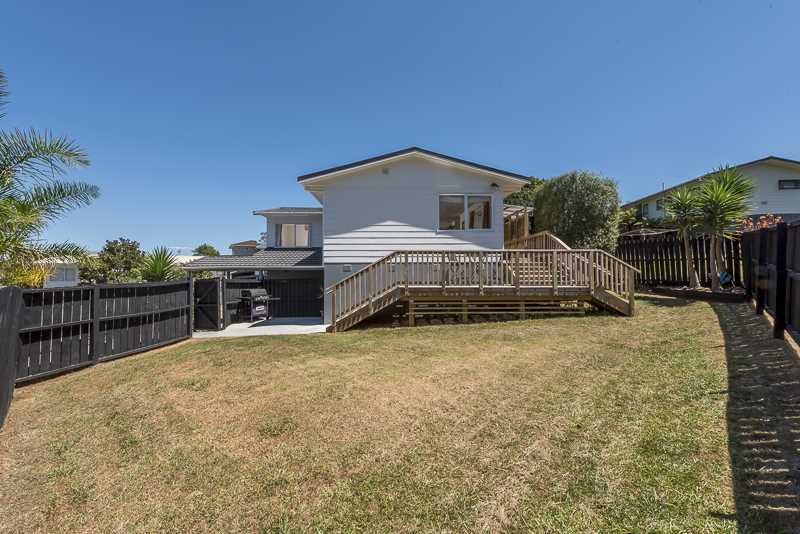 This home is a quiet, natural haven with Tuis nesting in the reserve adjacent which is rare this close to the city making this a natural peaceful haven. Our owners are moving onto to build another home and need this sold to get started. So take advantage of their hard work and make it yours today! Fixtures/chattels excluded: Rocks in the front garden, Large pipes and a decorative wooden gate.